Carpet Cleaning Philadelphia offers a variety of professional cleaning services to meet your needs, residential or commercial. Our staff of qualified and professional technicians will give you the cleaning results you desire. We're not satisfied until you're satisfied! 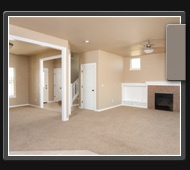 Carpet Cleaning - Wall to wall carpet cleaning, including stairs and hallways. 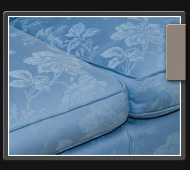 Upholstery Cleaning - All types of upholstered furniture cleaning, including mattress cleaning and vehicle interiors. 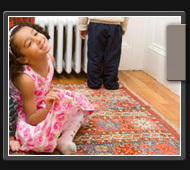 Area Rug Cleaning - Oriental Rug cleaning, hand-made rug cleaning and synthetic rug cleaning. Water/Fire Damage - Complete restoration of fire or water damage, including water removal, carpet cleaning, disinfecting and deodorizing. Wood Floors - Wood floor cleaning and refinishing. Office Cleaning - Carpet cleaning and upholstery cleaning for commercial accounts such as: offices, restaurants, doctor clinics, hotels, theaters and churches. Window Treatments - All types of cleaning for drapery, curtains and blinds. Tile & Grout Cleaning - Pressurized cleaning of porous tile and grout. Air Duct CleaningCleaning and decontamination of air duct vents in your home or business.